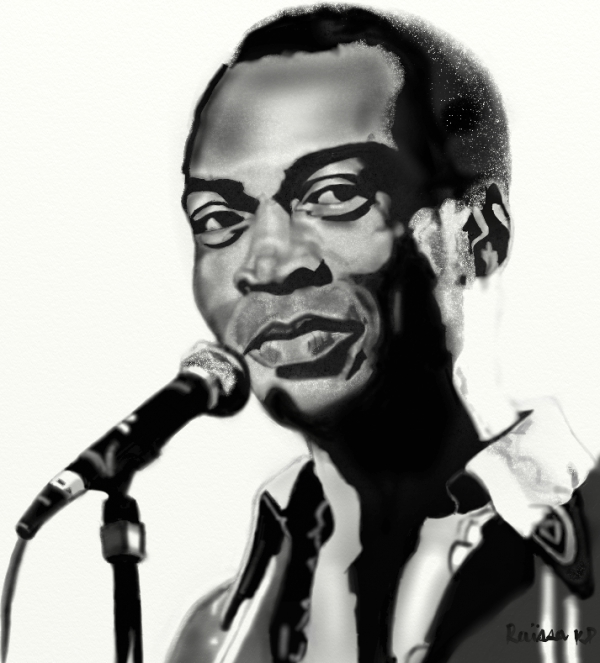 If you know me, you would know that I am a huge Fela Fan!! I love his music, who he was, his activism, his talent, his love for his country... I can go on and on. But really, he was the best to ever do it. He was the pioneer of Afrobeat music and he made the genre famous all over the world. 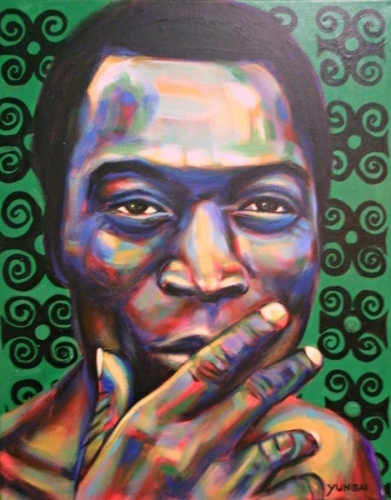 Fela's influence is still heard in music today. I'm actually working on something that has to do with Fela, it's a bit hush hush for now but I will be sharing more details with time. When I heard that the Jazz Cafe was throwing a tribute to the King himself, the excitement was unreal! I literally couldn't wait. I've always wanted to visit the shrine in Lagos where Fela regularly performed his music- definitely on my bucket list- and I am screaming at the thought that this might happen closer than I thought- this December! The Jazz Cafe is one of London's most iconic live music venues, located in Camden. I went with a friend of mine and it's safe to say that I had the time of my life! The energy in the room was so electric as Fela's former bandmate Bukky Leo and his Black Egypt collective belted out Fela's most famous tunes such as Gentleman (my fave) , Teacher don't teach me nonsense, International Thief Thief (I. T. T.) and others. The only thing I wasn't feeling was the fact that they didn't perform 'Water no get enemy' which I love! But it was an all round great night, and I will definitely recommend it to any Fela Fans. What I found interesting was the number of non-Nigerians that were in the room. In fact, Nigerians made up only about twenty per cent of the crowd and I mean this. The room was filled with so many Brits and people from other countries, who knew some of the lyrics more than I did!! and I'm a Fela Fan! Like when 'International Thief Thief' came on and the guy next to me was like 'I love that song!' lol (you might be able to hear that in the clip) This just shows how great Fela's influence is all over the world. The timing for the tribute was also perfect seeing as the month of August marked the twentieth year anniversary since Fela passed. Even twenty years later, Fela's influence is still felt all over the world. I shared some clips from the night below. Yes Fela performed at Glastonbury in 1984 - a legend!